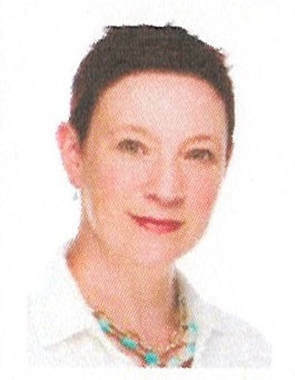 High C’s 2018 Choir Director is Paula Hébert. She has a bachelor of music with a voice major in performance from the Université de Moncton. She has attended several master classes in Canada and France to perfect her skills in early music. She has been a choir member and soloist for many years with different choirs such as Choeur Beauséjour, Choeur Louisbourg, as well as L’Ensemble Baroque Montéclair, just to name a few. She has also taught voice privately as well as theory, sight reading, dictation and a voice class for theater arts students at the Université de Moncton for several years. 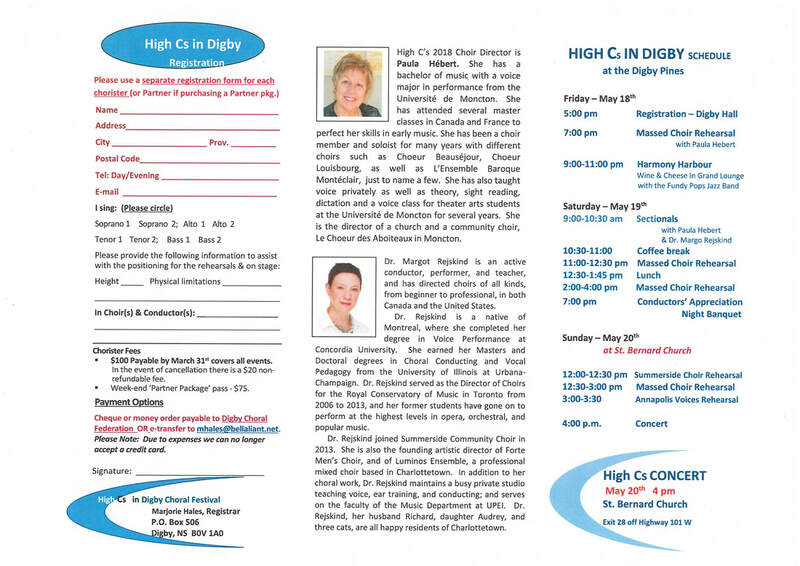 She is the director of a church and a community choir, Le Choeur des Aboiteaux in Moncton. Dr. Margot Rejskind is an active conductor, performer, and teacher, and has directed choirs of all kinds, from beginner to professional, in both Canada and the United States. 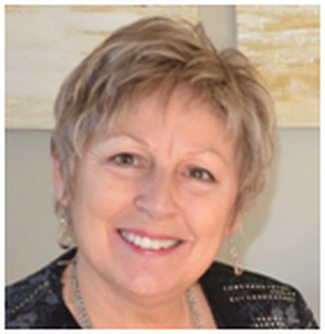 Dr. Rejskind is a native of Montreal, where she completed her degree in Voice Performance at Concordia University. She earned her Masters and Doctoral degrees in Choral Conducting and Vocal Pedagogy from the University of Illinois at UrbanaChampaign. Dr. Rejskind served as the Director of Choirs for the Royal Conservatory of Music in Toronto from 2006 to 2013, and her former students have gone on to perform at the highest levels in opera, orchestral, and popular music. 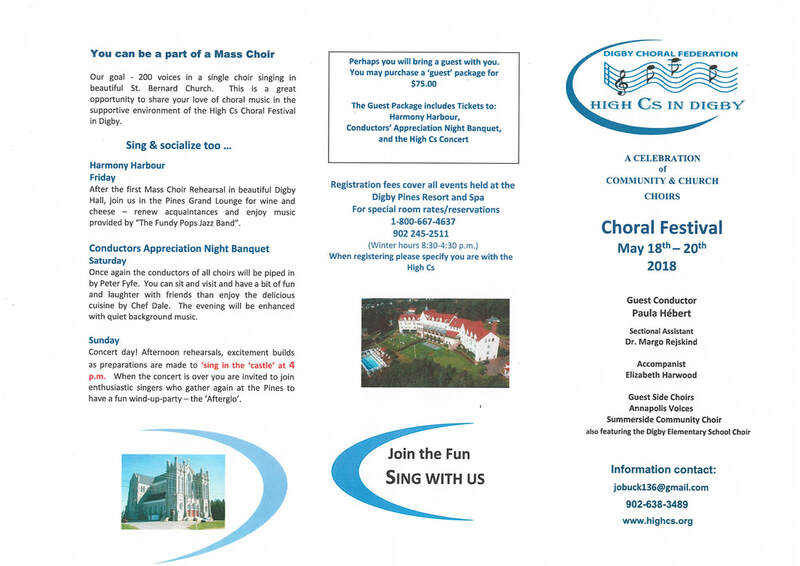 Dr. Rejskind joined Summerside Community Choir in 2013. She is also the founding artistic director of Forte Men’s Choir, and of Luminos Ensemble, a professional mixed choir based in Charlottetown. In addition to her choral work, Dr. Rejskind maintains a busy private studio teaching voice, ear training, and conducting; and serves on the faculty of the Music Department at UPEI.